Google has announced the beta release of Picasa for Mac, with the free software allowing users to organise and share their pictures online. Picasa for Mac will have 'most of the core features of Picasa on Windows' according to Google, which promises rolling improvements. "…we'll be working on more refinements to the Mac interface and feature set as time goes on," says Google. 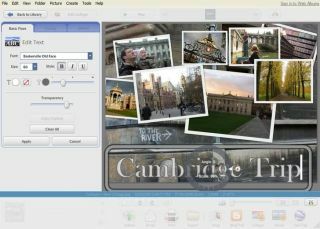 Picasa allows functionality like drag-and-drop photo collages, a retouching brush, slideshow movie maker, autocropping and an auto red-eye removal. But its raison d'etre is sharing the photos to Picasa web albums, allowing for tagging, automatic sharing and organisation. "While we've previously offered a Mac uploader and iPhoto plug-in for Picasa Web Albums, Picasa includes additional sharing features like automatic web sync." "Picasa for Mac "plays nice" with iPhoto, and takes a read-only approach to editing photos stored in the iPhoto library, duplicating files as needed, so that users' iPhoto libraries are never affected when they use Picasa." Picasa for Mac is available now for download at http://picasa.google.com/mac.